Texas will start casting votes in this year’s presidential race starting Feb. 16. 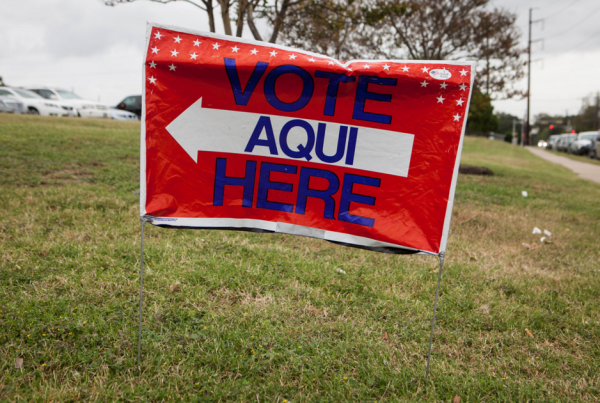 For Texas Republicans, this could be yet another year the Latino vote slips through their fingers, as the rhetoric during this year’s primary could make mobilizing Hispanic voters even harder this year. A good place to start is about three years ago. The Republican party just lost the presidential election, and they wanted to know why. The head of the party, Reince Priebus, asked around and made a plan. “We are going to be announcing a $10-million initiative just this year which will include hundreds of people in Hispanic, African-American and Asian American communities talking about our party,” Priebus said during a March 2013 “Face the Nation” appearance. “Every observation that they made in that study has pretty much been forgotten about,” says Artemio Muniz, chairman of the Federation of Hispanic Republicans, which is part of the Republican Party of Texas. Muniz says he was in the room when Priebus and others came to Texas to figure out what do about the Hispanic vote. At the time, Muniz says, he was optimistic. Cut to three years later: Texans will soon vote in yet another Republican presidential primary and Muniz says he’s worried. Muniz says he’s disappointed by some of the campaign talk around immigration, as well as some anti-Latino sentiments aired during the Republican primary. Muniz, who supports candidate Jeb Bush for the nomination, says comments from Republican candidates Donald Trump and Texas Sen. Ted Cruz have made the work of reaching out to Hispanic voters much harder. Marcelo Tafoya points out that work was already hard. And that feeling is an ongoing problem for anyone interested in engaging Hispanic voters, no matter which party you’re talking about. Tafoya used to be the deputy state director for the Texas League of United Latin American Citizens (LULAC), a non-partisan civil rights group that registers and educates Latino voters. Fidel Acevedo is the director of the group’s chapter in Austin. Here in Texas, Acevedo says, he thinks neither Republicans or Democrats are taking this work very seriously, which is why you find Latino voters in Texas staying home on election day. “Can it get better? Absolutely. I can tell you that if we don’t get better at it and both the Republicans and the Democrats work at making it better, you will continue to find the slack of ‘Hey, why vote? My vote doesn’t count,’” Acevedo says. And this is a big concern for people like Muniz, who’s trying to get his party to appeal to Hispanic Americans – specifically, Mexican-Americans. “The way I see it, is if the GOP doesn’t step up during this election and change the way it does its engagement and outreach, the way it wins hearts and minds in the Hispanic community, I think the party is going to see a long-term negative effect,” Muniz says. There is no electoral math that shows the Republican Party of Texas surviving into the future without attracting more Mexican-American and Hispanic voters, he says. Muniz says demographic shifts will continue to force the party to take a hard look at how they talk to those voters. The problem in the near future, Muniz says, is that some younger Hispanic voters might remember what they heard from Republicans during this campaign season.